Start out with a great overview on Old Town Trolley San Diego. Hop off at the Embarcadero for a Bayfront stroll with waterfront views. Check out the collection of historic ships moored in the Maritime Museum. Tour USS Midway, the longest-serving 20th century Navy aircraft carrier. Get out on the bay on a SEAL Tour. Board the big amphibious vehicle in Seaport Village or the Embarcadero. Rumble along San Diego streets before splashing into the bay for an awesome narrated cruise around North Bay. Skyline views, Navy jets taking off from Coronado Naval Air Station North Island, sea lions sunning on bait cages – awesome! 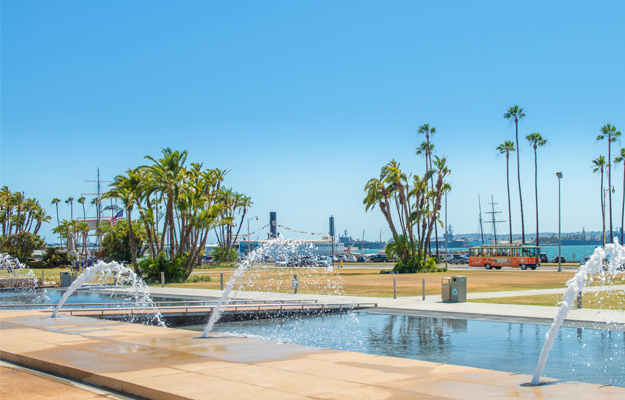 Follow it up with a stroll through shady Seaport Village for shopping and good lunch choices. Coronado and Balboa Park: Hop back on the trolley for a scenic ride over San Diego-Coronado Bridge to the charming beachfront village of Coronado. Enjoy lunch at historic Hotel Del Coronado; walk the boardwalk. Hop back on the trolley for an afternoon in Balboa Park, San Diego’s cultural center where art, history, and science museums, interesting architecture, beautiful landscaping and the San Diego Zoo meet. Brewery Tours: Over 90 microbrew and craft beer breweries have earned San Diego the moniker“America’s Craft Brewery Capital.” Guided brewery tours and tastings are favorite pastimes. Many begin around noon, last 3 to 4 hours and visit at least 3 breweries. Brewery Tours of San Diego picks up downtown; Brew Hop has private customized tours; Scavenger Beer gets around in vintage safari vehicles; Brewery & Pizza Tour is a weekend-only walking tour through Little Italy. Gaslamp Quarter: Relax over happy hour at RoofTop 600 on top of the Andaz Hotel; reserve a table at one of many trendy restaurants, dance the night away to pulsating music in lively dance venues. Little Italy: Relax in the rooftop lounges Kettner Exchange or Glass Door. Dine at one of many great small restaurants along India Street. Sunset Views: Enjoy scenic coastline sunset views, breweries, tastings and dinner on San Diego Brewery & Beer Tour’s Sunset Brew Tour. Just 30 minutes north of downtown San Diego, perched high on a rocky cliff surrounded by crashing waves boiling below, the village of La Jolla has a distinct Mediterranean feel. Browse upscale boutiques and art galleries. Have lunch with dramatic ocean views at George’s at the Cove or Valencia Hotel. Art comes with ocean views at Museum of Contemporary Art San Diego-La Jolla. Lunch on the patio with a view in the Museum Café. Explore La Jolla’s natural beauty. Rent a bike. Pedal to La Jolla Cove where sea lions frolic, to Shell Beach Tide Pools to wade in the water. Kayak through Seven Caves and La Jolla’s Underwater Park on La Jolla Kayak’s 2-hour guided tour. See La Jolla on a Soledad Slide Bike Tour, a great 2 hour ride from Mt. Soledad all the way down to coastal highlights. Total relaxation defined: healing hot mineral spring spas; all-inclusive resorts and lovely boutique hotels, many with spa services, charming B&Bs; stunning desert landscapes; world-class golf courses, art galleries, upscale boutiques; great restaurants, gaming. It’s all here in Palm Springs and the cluster of nearby small Conchella Valley towns. Book a spa day at Palm Springs many spas. Head to the foothills overlooking Palm Spring, to Desert Hot Springs, “California’s Spa City,” minutes from downtown, for a day of natural healing in one of over 20 hot mineral spring-fed spa resorts. Spend 3 unforgettable hours traveling in a jeep through a private preserve on the San Andreas Fault in the company of naturalist guides. Seeing the twisted landscape in the areas around the fault while traveling through the labyrinth of geological cuts and canyons created by it is beyond awesome. Pick any of these great options from Desert Adventures Eco Tours: San Andreas Fault Jeep Eco Tour; San Andreas Fault Jeep Sunset Tour; Nightwatch Stargazing Jeep Eco Tour. Get out early for an up-close looks at unusual desert flora and fauna at the Living Desert Zoo & Gardens or a collection of over 3000 species of desert cacti and plants from all over the world at Moorten Botanical Garden. See traditional art of America’s West and Contemporary Native American art at Palm Springs Art Museum; 29 WWII era planes, many used in Hollywood films, at Palm Springs Air Museum. Check out the selection of upscale shops and fine restaurants with a Rodeo Drive feel in El Paseo Shopping District. Drive along Palm Canyon Drive with no itinerary in mind. Stop on a whim to check out eclectic shops and places for lunch along the way. Take a breathtaking ride 8500 feet up to the top of the mountain in the rotating Aerial Tramway, the world’s largest. Lunch at the top at Peak’s Restaurant where the food is as fabulous as the views. Six Las Vegas-style gaming resorts, all on Native American land, have brought glitz, glam, gaming entertainment and dining to Conchella Valley’s desert landscape. Take your pick. 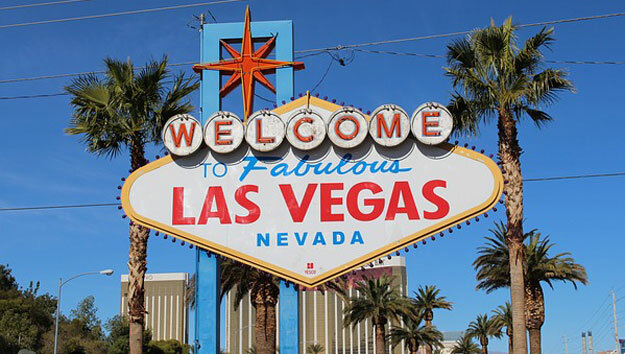 By day, visit attractions in an around The Strip and venture out on the desert. By evening, do what everyone comes to Vegas to do in the neon glow of over-the-top themed mega hotels: try you luck at gaming, enjoy fabulous performances by top entertainers, dine on lavish buffets. Join ambling crowds gawking at fountains, architecture and unbelievable special effects of opulent hotels along The Strip. Stop to watch street-side impersonators, pop into every imaginable kind of shop, have a drink, a bite to eat. See The Strip and surrounding neighborhoods on a Big Bus Las Vegas Sightseeing Tour. It eliminates having to elbow through the crowds and lets you see a lot more. The visibility from the open top, double-decker bus is great and being able to hop off at stops along the way convenient. History Channel’s Pawn Stars put Gold & Silver Pawn Shop in the spotlight. Standing in line is worth the surprises inside – amazing memorabilia, unique items, jewelry and art. Gangster-built Las Vegas is the perfect home for the New Mob Museum. Interactive and multi-sensory exhibits tell the history of the relationship between organized crime and law enforcement. Don’t skip Neon Museum. Take a nostalgic Boneyard walking tour through an outdoor lot filled with vintage neon signs. Or, opt for a self-guided tour of the Neon Boneyard North Gallery. Vegas at sunrise –by balloon! Get carried up, up and away for the thrill of a lifetime on a 1-hr Vegas Balloon Ride Sunrise flight. Watch The Strip, the desert, and the Red Rock Mountains drift by in silence. Celebrate your awesome adventure with a traditional champagne toast! The ionic 60-story arched dam is looms huge. See it by driving there on your own, by bus, on a fly-by helicopter tour, on a 4-Hour sightseeing adventure on Pink Jeep’s Hoover Dam Jeep Tour. Views from the observation deck are amazing. The engineering feat seen through films, exhibits and live presentations, and a behind-the-scenes look at the gigantic generators are interesting. A full day of pure excitement happens on a phenomenal Grand Canyon Drive, Fly, Float Tour. Drive through historic Boulder City, see Hoover Dam, Lake Mead, and breathtaking views of the Colorado River. Experience the extraordinary beauty of Joshua Tree Forest. Descend 4,000 feet by helicopter to the edge of the Colorado River. Jump on a pontoon boat for an exciting voyage through the stunningly beautiful chasm. Ascend to the canyon summit via helicopter for lunch. 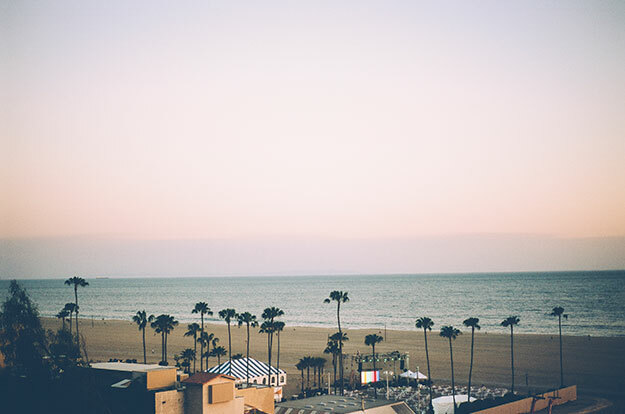 Picturesque Santa Barbara, “the American Riviera, nestled between the ocean and mountains is the perfect escape. Tranquility, ocean views, great beaches, elegant resorts, many with luxury spas, incredible restaurants with fabulous food, beautiful settings, gently rolling hills layered with manicured vineyards and wine tasting at every turn, make it story-book perfect. Sip award-winning Santa Barbara wine on a stroll to more than two dozen wine-tasting rooms along the downtown Urban Wine Trail from the ocean to Highway 101. Explore rural vineyards on a beautiful drive into Santa Barbara wine country. It’s a lovely drive, with plenty of places to stop for wine tours, tastings and wine-country gifts. There’s no need for a designated driver on Stagecoach Co. Wine Lovers’ Tour which picks you up, takes you in style to four custom-selected locations including wineries, vineyards, cellars and tasting rooms. Rent a beach cruiser for a quick ride along to East Beach, for easy access to beach activities, restaurants and beach toys. Centrally located Leadbetter Beach is busy; West Beach hosts all sorts of water sport events. A fave is Goleta Beach, 12 miles up the coast. It’s a long, active beach lined with restaurants, crafts beer places, beach activities and a fishing pier. To be near the beach, not on it, head over to Stearns Wharf, jutting out into the Pacific, for a bite to eat and souvenir hunting. Evolving, edgy with a contemporary vibe, the popular downtown neighborhood filled with colorful graffiti murals and contemporary art is filled with boutiques, vintages stores, tasting rooms, cafes, restaurants, shops, galleries housed in converted warehouses and buildings. If you walk the Urban Wine Trail, you’ll walk right through it. In Santa Barbara, regional, fresh, creative California cuisine stars. It can be anything from foie gras to pizza; in an atmosphere from laid-back to elegant. Chefs flock here; up-and-coming ones try out here. Creative culinary talent + fresh regional ingredients + great ambiance + wonderful wine = gastronomic paradise. Board the sleek, fast Catalina Express for a quick weekend island getaway from LA’s bustle and bling. After just one hour skimming across Catalina Channel, quaint Avalon, the island’s only “city,” appears perched on the rocky outcroppings of Catalina Island. Crystalline waters, a spectacular natural environment and the charming quaintness of Avalon make for a great weekend. It’s busy, but not congested. There’s a lot to do in by land and by sea. Stroll, bike or drive a golf cart around tiny Avalon’s palm-lined streets. Have fun seeing it up close on a 4-mile Catalina Segway Tour through Avalon and into the interior. California Adventure Tours’ 90 minute Village Walking Tour covers all the highlights. Technology leads the way on Santa Catalina Island Company’s GPS Walking Tour. Journey through Hollywood’s glamor days on a walking tour of opulent Catalina Casino. Shop in quaint downtown shops; have lunch in a seaside restaurant or in one of the many eateries around Green Pier. Sip, sample and savor Catalina Island’s flavors on an Avalon Tasting & Cultural Walking Tour. It’s a fun 3-hour foodie experience and a great way to see sights and check out the restaurant scene. Go deep into the heart of the island’s scenic, windy and rugged interior on a Santa Catalina Island Co. 3 ½ hour Inland Expedition. Five lines dropping from 600 ft above sea level and 500 ft above the Canyon floor make Zip Lines Eco Tour a thrill-seeker must do! Take a 20 minute stroll, bike or golf cart up Avalon Canyon to The Nature Center at Avalon Canyon and nearby Wrigley Memorial & Botanic Garden to see and learn about the natural history of the island. Spend one whole day on the water. Sit on the beach, have a drink or lunch at Descanso Beach Club, Avalon’s only restaurant and bar offering beach food service plus kayaking and snorkeling right off the beach. Numerous tour companies have all-day water-fun packages. View sea life from a glass-bottom boat or from a unique semi-submersible vessel! Get a bird’s eye view of the island and surrounding water flying 300 feet high on a parasail. Rent jet skis for fast rides; paddleboards or kayaks for peaceful ones. Book a snorkeling trip; try your luck at deep-sea fishing.